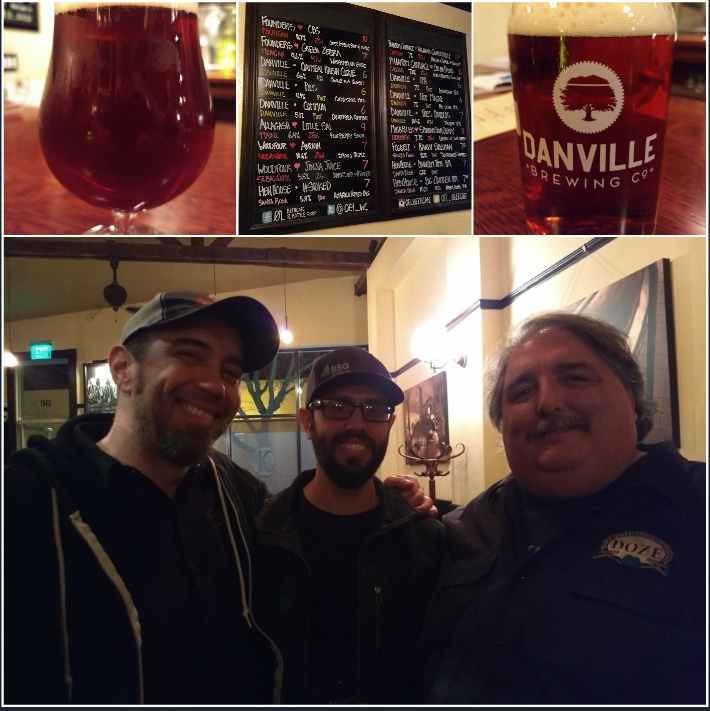 On February 10th, I attended Admiral Malting‘s “Open Malthouse Day”, hosted by Admiral’s founders, Ron Silberstein (of ThirstyBear Brewing) and Dave McLean (of Magnolia Brewing), as part of San Francisco Beer Week. 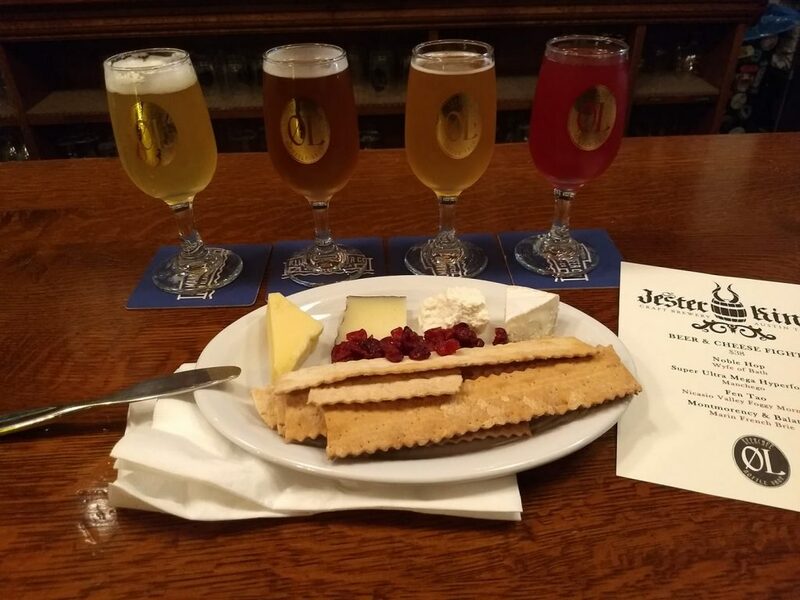 Guests were taken on thirty- to forty-minute behind-the-scenes of the malthouse, where we were able to learn about and observe the full production process. 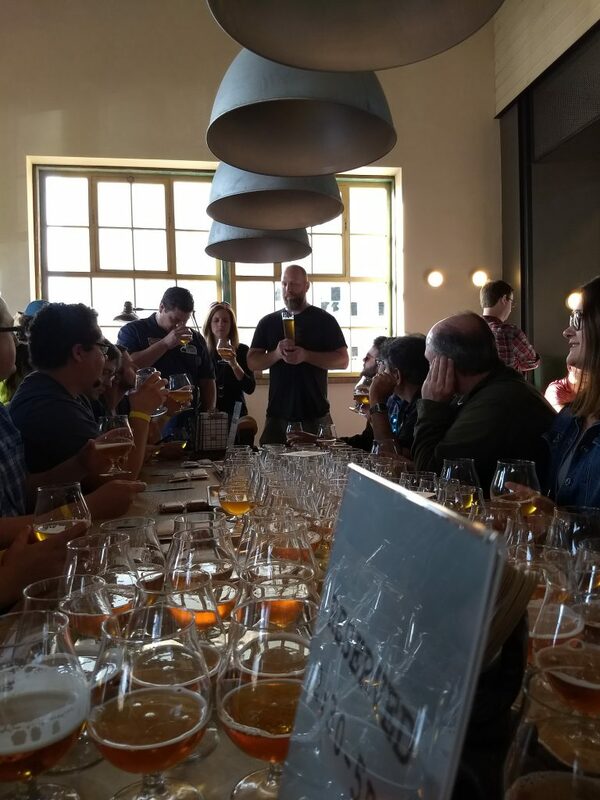 Both farmers and brewers were also on hand to experience the tour and to share their stories and speak about their experiences with Admiral’s malt. 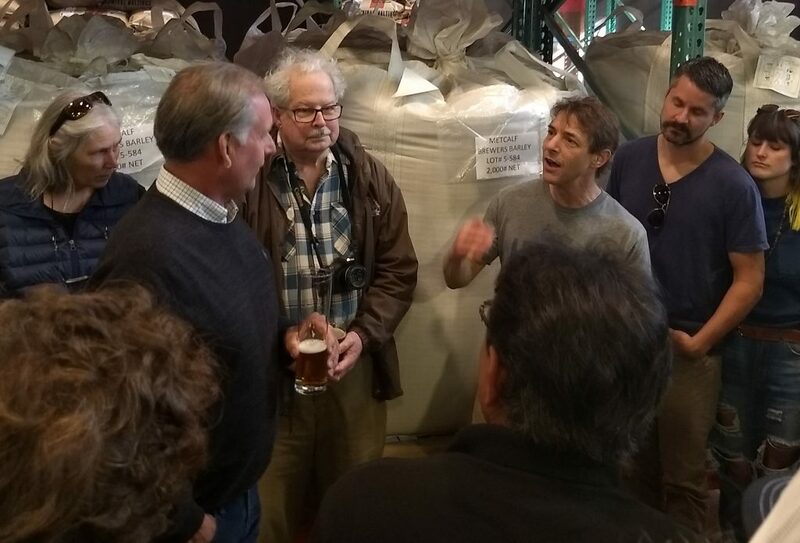 Ron Silberstein, co-founder of Admiral Maltings, explains the malting process, accompanied by UC Davis biologist, Lynn Gallagher (at center), who developed the strain of barley used in Gallagher’s Best malt, and Bob Schaupp, a barley farmer, here enjoying his first glass of beer brewed from his crop. Today, industrial malting is typically done in what is referred to as the “compartment process”, in which grain is passed through large, stainless-steel tanks able to accommodate tens, or even hundreds, of tons of grain. The grain is agitated with auger and aerated with large fans, as it passes through a series of alternating wet and dry stages, before being kilned. Floor malting, on the other hand, is a more traditional, slower and more labor-intensive method, which is said to produce superior malt with deeper, richer flavor. 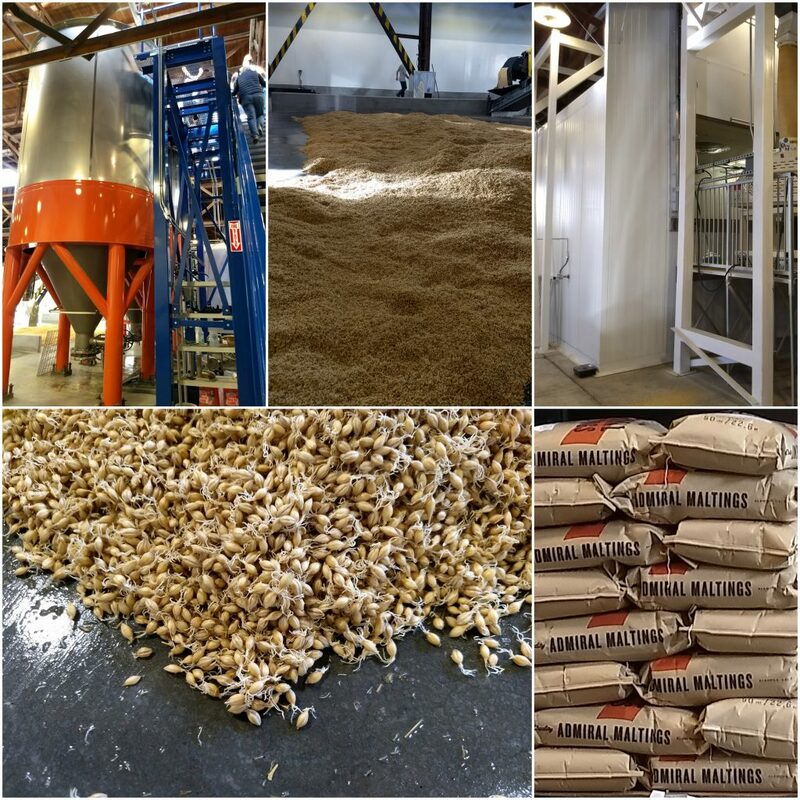 Upon opening in July of last year in an old dry-goods storage facility on the former Alameda Naval Air Station, Admiral Maltings became the first commercial floor malting facility in California since before Prohibition, and California’s first maltster with a California Certified Organic Farmers (CCOF) certification. On my tour Silberstein explained that the barley spends 38-42 hrs steeping in the hydration tanks, then 4-5 days germinating on the malting floor, before being sent into the drying kiln for 24 hrs. The malt is then passed through another machine which removes the rootlets before it is bagged. A ton of rootlets are removed from each 10 ton batch of barley. With the addition to husks and other debris that is removed, there is a 20% loss, per weight, in the malting process, such that each 10-ton batch of barley results in 8 tons of finished malt. Currently, Admiral is approaching ten batches per month, but are looking into some material improvements which would enable them to attain fourteen batches per month. 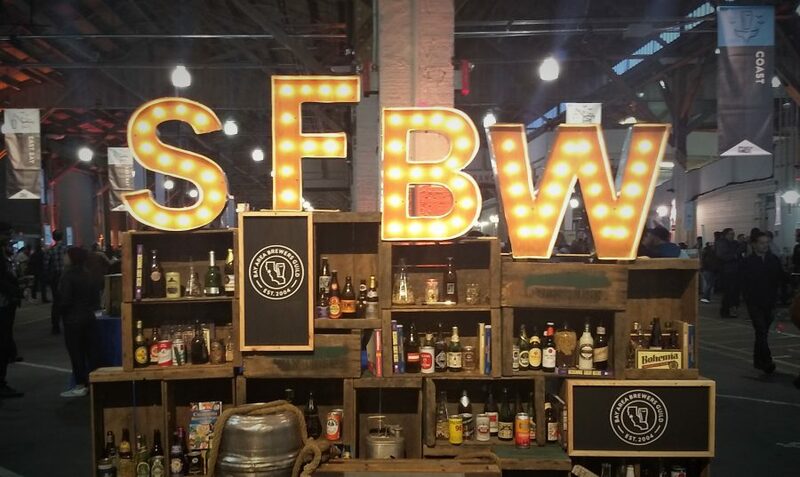 With the Bay Area being a hub of the growing farm-to-table (or in this case, farm-to-glass) movement, the opportunity to avail themselves of locally-produced, small-batch, and certified organic, malt has generated a great deal of interest among local brewers. Enough so that Admiral has been able to outfit it’s own taproom exclusively serving beers brewed using its malts. 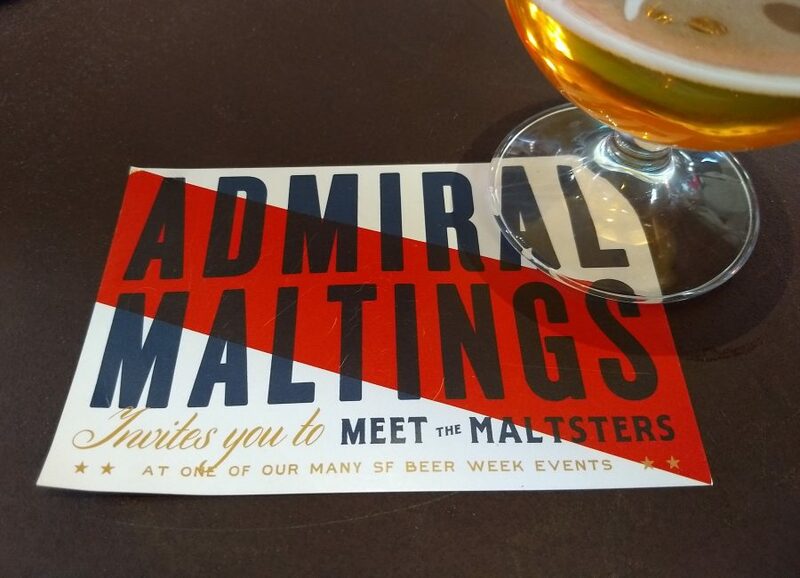 The tour ended with tastings of Admiral malts and of beers made with those malts, guided by the brewers who made them. On hand were brewers from Harmonic Brewing Co. (serving Prague Rock, made with Admiral Pils malt), Armistice Brewing Co. (serving Berthday Beer English Golden Ale, made with Feldblume malt), Social Kitchen & Brewery (serving California Grown Lager, made with Gallagher’s Best malt), and Independent Brewing Co. (serving Escaped the Island Blonde Ale, made with Maiden malt). 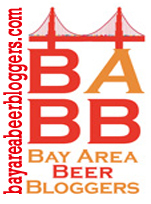 Eddie Gobbo, co-founder and head brewer of San Francisco’s Harmonic Brewing Company, talks bout his experience brewing with Admiral’s malts and leads a tasting of his Prague Rock Pilsner (brewed with Admiral Pils malt).